Was it really only just a little over a week ago that we were lounging on the beach, icy adult beverages in hand, and soaking up the sun on Disney’s private island Castaway Cay? I think I need to go back right now! Who’s with me? If I hadn’t received that magical invitation to the 2017 Disney Social Media Moms celebration, I don’t know if we ever would’ve gone on a cruise. It was such a fun family experience! 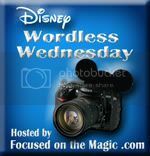 This week we are joining Deb from Focused on the Magic for Wordless Wednesday Disney style. She has a fantastic reason to celebrate! Everybody knows that’s my favorite kind of style! Disclosure: I was invited to attend the 2017 Disney Social Media Moms Celebration Land & Sea at Walt Disney World Resort and Disney Cruise Line. I paid a fee to attend the celebration and received discounts on accommodations, theme park admission, and the cruise. All opinions expressed are my own. This entry was posted in #Disneymoms, #DisneySMMC, 2017, All things Disney. Bookmark the permalink. I wanna go too! Castaway Cay is such a peaceful, relaxing piece of paradise! I’m headed here for the first time this summer! I can not wait!!! Love these photos! It’s fabulous! You’ll never want to leave. It was our first cruise and visit and we loved it! I hope you have a magical trip!! Oh, I want to go back!! You could just leave me on CC and I’d be happy. Your trip sounds fabulous!!!! Deb Silhan recently posted…Wordless Wednesday – I Kicked Cancer! How fabulous! This is on my wish list. The Social Moms event sounds like it was amazing!